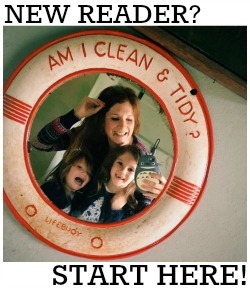 As is always the case, we currently have a bit of a DIY project going on at home. I say "going on at home" but what I really mean is "going on inside my head". Basically I've been spending an inordinate amount of time on Pinterest daydreaming about turning our garden cabin into a bit of an art studio / office for myself. I really do plan to do this, but it's going to have to wait until August, when the girls are on holiday with their Dad and I can get stuck in (and I also have a decent amount of time to persuade my Dad and cousin to spend a day in the sticks building things and running electricity down to the end of my garden). But that hasn't stopped the research, nor has it stopped the spending! I've planned EVERYTHING and have got the cabin pretty much kitted out now, with shelving units, a desk and a new easel ready to be put together. It all just has to stay in boxes and get in my way in the main house until all the work has been done. Most importantly (we all know shopping for the finishing touches is THE BEST part about redecorating any space) I've also got some incredibly important wall art ready to be put up! 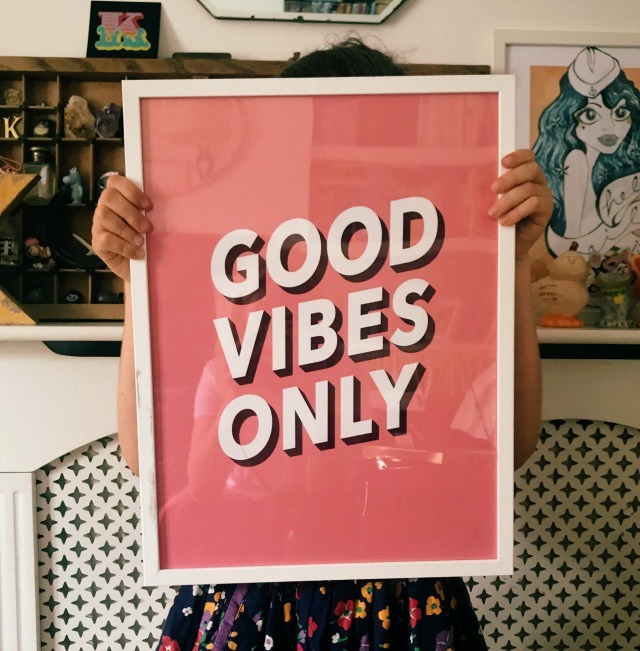 I'm collaborating with one of my favourite Scandinavian brands for this post; Desenio are purveyors of the finest, affordable art work (and frames) and their prints adorn pretty much every single wall in my house. 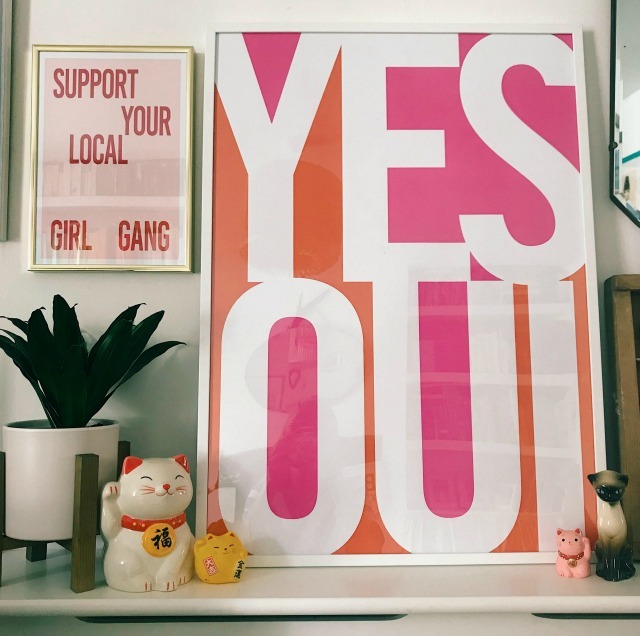 They asked if I'd like them to send me some prints for my new office and I took them up on their kind offer, going with a bit of a pink / Girl Power theme. I plan to paint the whole of the interior of the cabin white, even the floor and the ceiling, so I liked the idea of there being a few pops of colour in there. I also plan to fill it with plants, so green, pink and white are combination I'll be following. You can see the other Desenio prints and frames I've got in my house here and here. If you're keen to buy some prints for your own home, the code “katyearley” gives 25% off posters* between July 17th and 19th.